Text by Ivana Krstulović Carić, dipl.ing.agr. 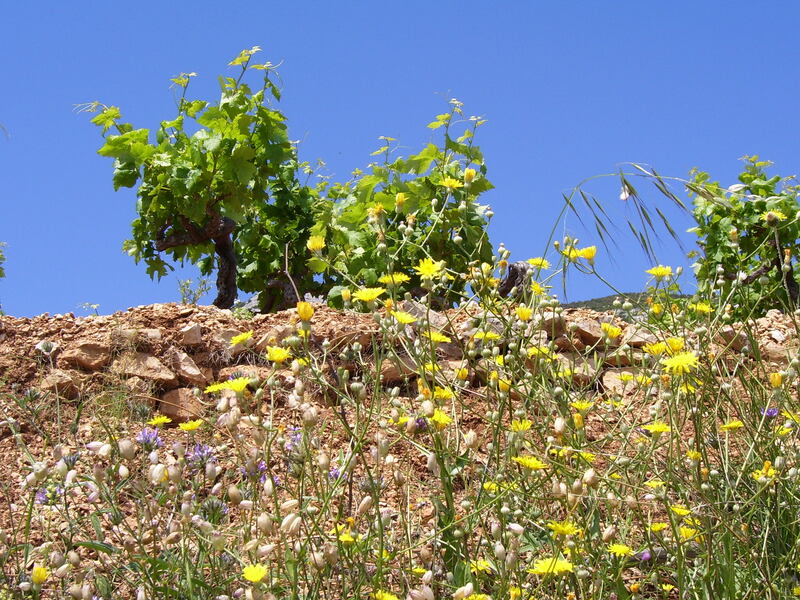 While the diseases and pests that attacked Hvar’s vineyards and wrecked the island’s economy were eventually conquered, viticulture as a way of life never fully recovered to its previous level of importance. Total vineyard acreage fell by over 2,000 hectares to 3,500 hectares under vine. The economic and social impact would be felt for decades to come, resulting in a further decline in production as many residents of the islands (including Hvar) abandoned their vineyards and homes to go abroad to seek work and a means of steady income. 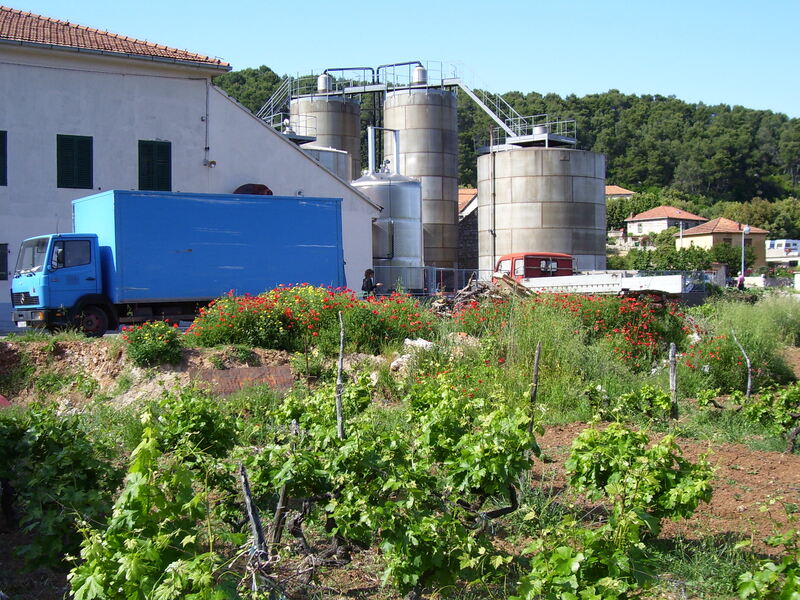 However, a local family, led by Niko Duboković Nadalini – a powerful ship and land owner, winemaker and the mayor of Jelsa – spearheaded an effort to restore the vineyards of Hvar. They introduced modern method of grafting grapes onto phylloxera-resistant American rootstocks and shared the technology with local wine growers. 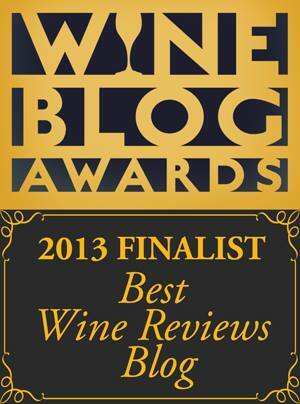 Their winery in Zavala* earned numerous world-class wine awards in those times. Yet after the nationalization* initiatives of the early 20th century, their winery was abandoned. Today most of their vineyards are overgrown with pine trees and macchia*, although certain sections have recently been replanted with young vines by local winemaking families, such as the Carić family in Zavala and Zlatan Plenković. World War I brought the Italian occupation of Hvar, during which time the Croatian language and culture were suppressed. Soon thereafter Hvar was absorbed into the newly-founded Kingdom of Serbs, Croats and Slovenians, which later became the Kingdom of Yugoslavia. The Great Depression (1929-1932) had an obviously negative impact on wine production, and many winemakers and co-operatives, because of large debts, imploded and ceased to exist. As a result, the local population set off on another large exodus to distant countries such as the USA, Chile, Argentina, New Zealand and Australia, where they hoped to find new lives and jobs. Today you can still find living witnesses of this hard time. My grandmother, Danica, still recalls her mother’s sad sighs while she was baking bread. “A board of bread, one hectoliter of wine”, she would say. This meant that to buy 20kg of flour, one had to sell 100 liters of wine. Modern mechanization, vehicles and roads were unheard of in these times. In order to reach the vineyards on the south slopes of Hvarske Plaže and the wine cellars of Ivan Dolac, wine-growers were required to climb over steep heights of Vorh Mountain. It is interesting to note that before the arrival of phylloxera, mostly white indigenous grapes were grown on the south slopes of Hvar: Bogdanuša, Mekuja, Parč, Kurtelaška, Vugava. 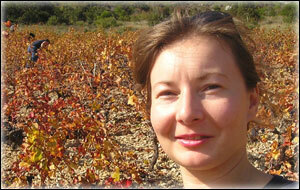 Only later did Plavac Mali, the most widely-planted red grape in Dalmatia, come to dominate and prevail in the area. Up until World War II, every town on the south side of the island had its own quay where boats would dock to buy wine. 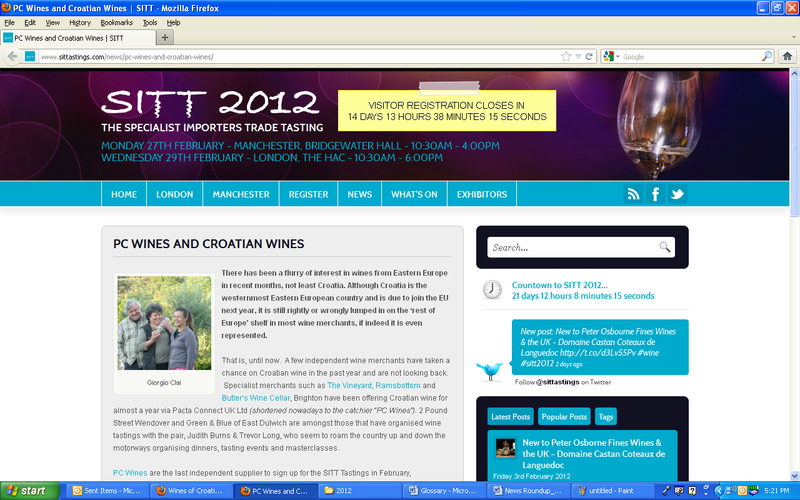 Traders would visit wine sellers, sample the wines and set their prices. The price of wines from Hvarske Plaže was always significantly higher than those from the north side of the island where the grapes were of lower quality and sugar levels. Transporting the wine from the cellars to the boats was a challenge due to the steep slopes. 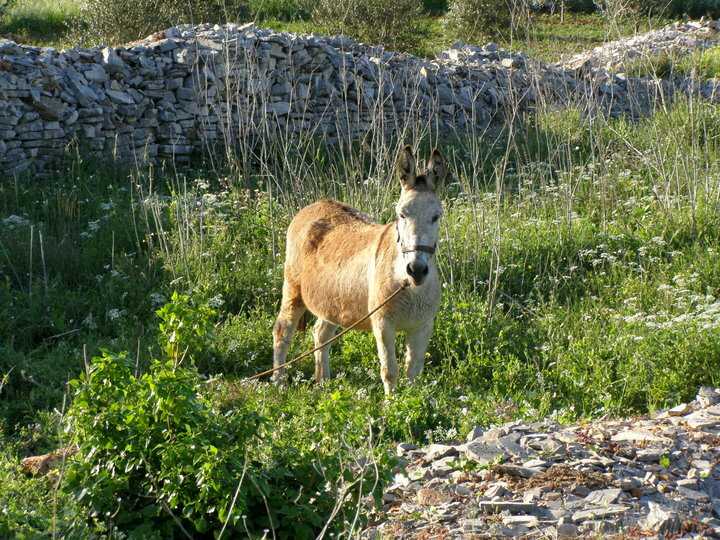 Donkeys often bore the burden of carting the wine from villages situated far from the sea to the docks. Once at the sea, the traders would fill wooden barrels with the wine and then throw them into the sea, where they were picked up by the boats. Sometime after World War II, Peroslav Carić (Slavko) noticed a new invention – rubber hoses – while visiting a marketplace, and he purchased some 2000 meters of hose. His idea to use the hose for pumping wine from the seaside stone reservoirs into the barrels was a success, and he soon offered his service to all the villages on the south side of Hvar, as well as a few on the island of Brač. 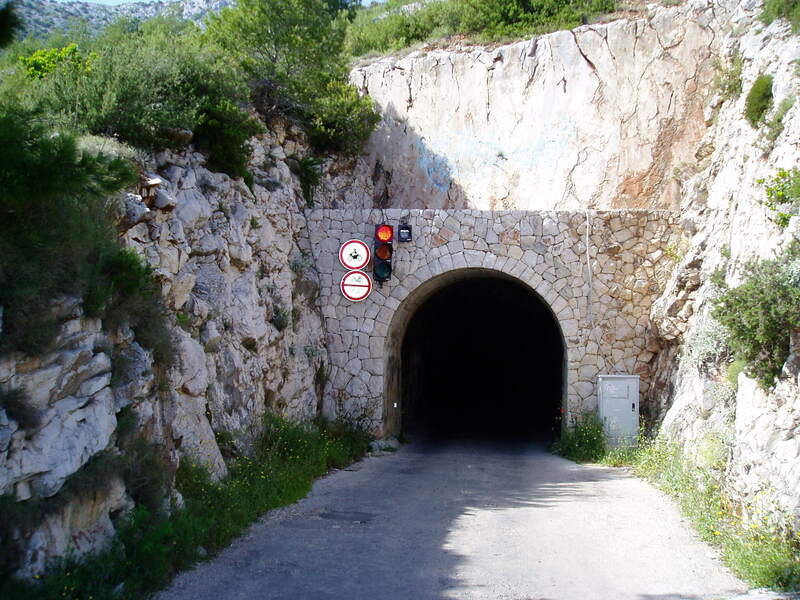 With the building of the Pitve–Zavala tunnel in the early 1960s, life became easier for the locals, who no longer had to each make wine in their own cellars and then transport it to the buys. Instead they transported the grapes through the tunnel to the big wineries on the north side of Vorh Mountain for processing. But this progress was not necessarily good news. The large wineries, such as Hvarske Vinarije, Dalmacijavino, and VinoProdukt (today the cooperative Svirče), shifted into quantitative winemaking. Quality diminished but was offset by positive developments regarding modernization and better organization of production, brands and sales. Thanks to the hard work of Ivo Politeo, Hvar achieved its first wine with Protected Geographical Origin status, “Faros”, which was produced by Dalmacijavino from locally indigenous Plavac Mali grapes from the south slopes of Hvar. 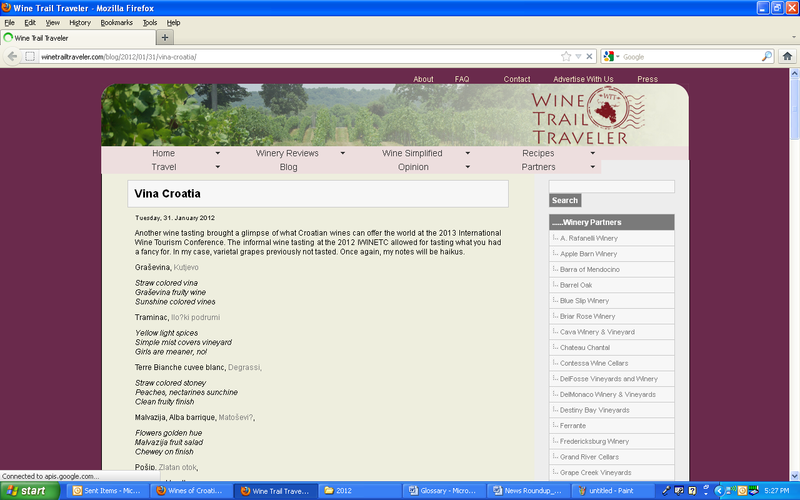 This is Croatia’s second wine with protected status, the first being Dingač from Pelješac. The era of Socialism brought further degradation of quality and the number of acres under vine, due to the disparaging attitude towards agriculture and farmers. 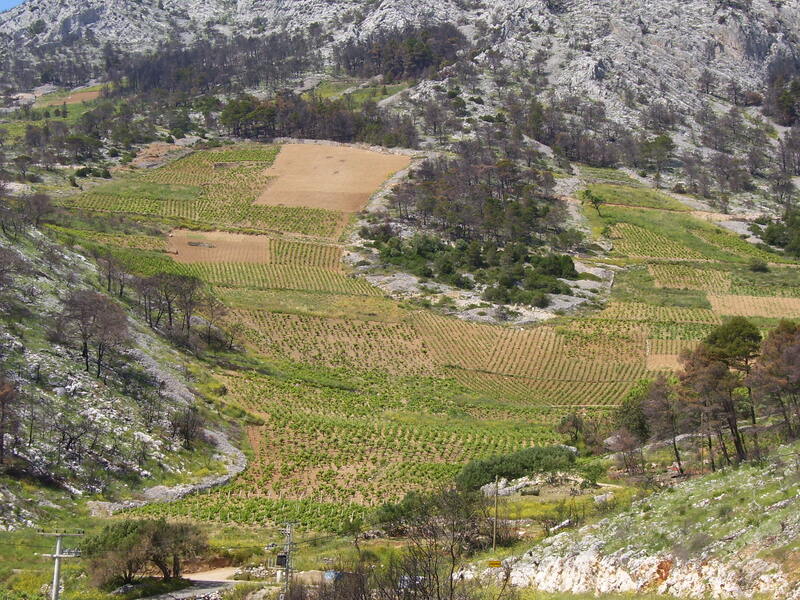 Today it is estimated that there are only 300-500 hectares of vineyards on Hvar, a huge decline from the 5,750 hectares of the mid 19th century. However, a reassessment of current vineyard acreage is underway, which will hopefully provide more precise data about present day viticulture. When faced with the global economic problems of the present day, we can’t help but wonder what kind of a future awaits us. One thing is clear: we should endeavor to preserve the things most dear to us – our heritage and our vineyards – because crises come and go. Vineyards do not grow overnight. We must learn from the mistakes of our past. Ironically, the vineyards that my family cultivates today were purchased by Ljubo Carić, my husband’s father, even though the same land was once owned by his father, Juraj Carić. In fact, when widowed with six children, my husband’s grandfather sold all his lands on the prime southern slopes to buy land on the north side of Vorh Mountain, which he thought would be easier to work. Unfortunately, he lost almost all the value of his investments and savings when the Austrian Crown (currency at the time) was converted to the Yugoslavian Dinar. He never accomplished his dream of growing quality grapes in his new vineyards. 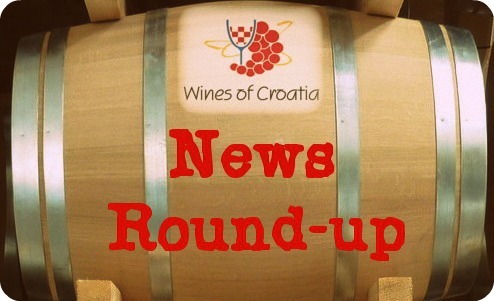 Note: More about the development of wine production on Hvar and the relationships between local winemakers will be covered in subsequent articles. Stay tuned! 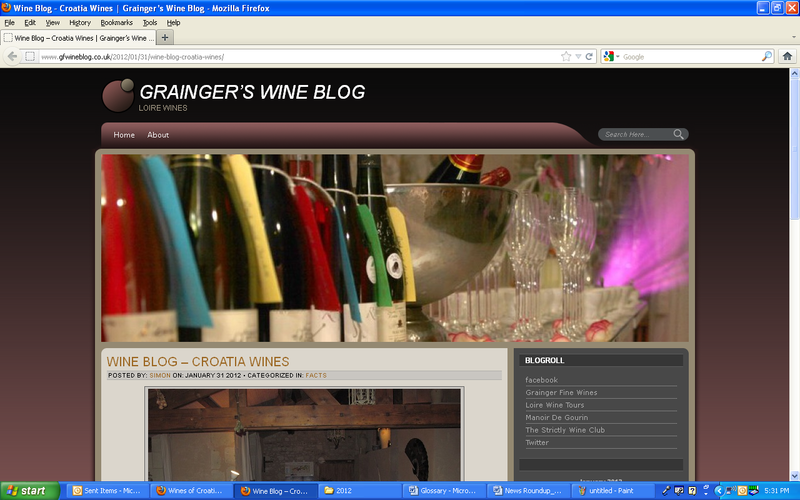 Postscript from the editor: On May 31, 2010, the winemakers of Hvar joined together to establish their own representative association (“udruga”). 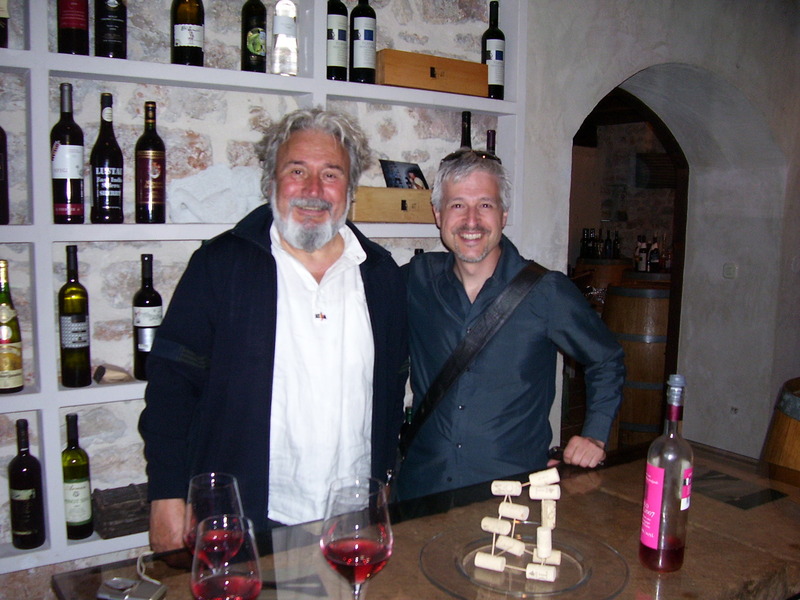 Elected to be president of the Association of Hvar Winemakers is Mr. Andro Tomić of Bastijana winery in Jelsa. Marija Gabelić was chosen as vice president, and the author of this article, Ivana Krstulović Carić, will serve as secretary. The association’s mission will be to promote Hvar as a wine destination, revitalize abandoned vineyards, and protect & promote native grape varieties. Stari Grad: the “old town” on Hvar, also known as Pharos. Neretvans: Citizens of the Principality of Neretva (7th century). Neretva is a river valley and its surrounding delta area in south Dalmatia, Croatia. Svirče, Sveta Nedilja, Jelsa, Vrboska, Stari Grad, Hvar, Zavala: Towns on the island of Hvar. 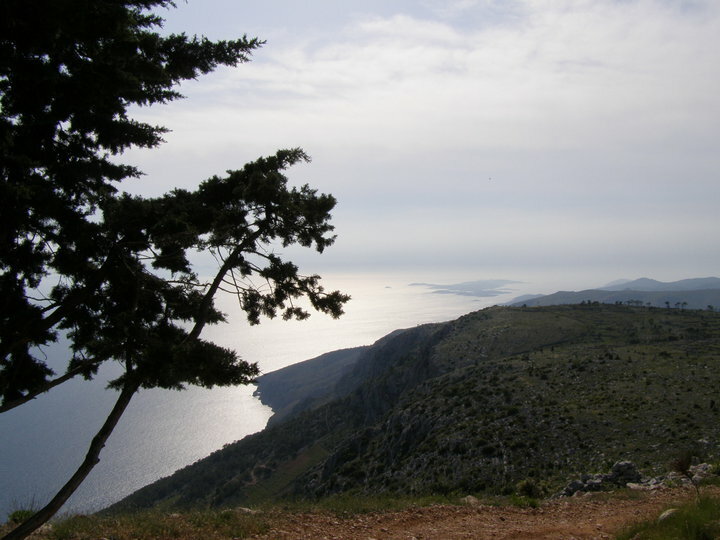 Hvarske Plaže or Plaže: a sub-appellation on the island of Hvar – considered the best on the island. Translated as “Hvar’s Beaches” or simply “Beaches”. 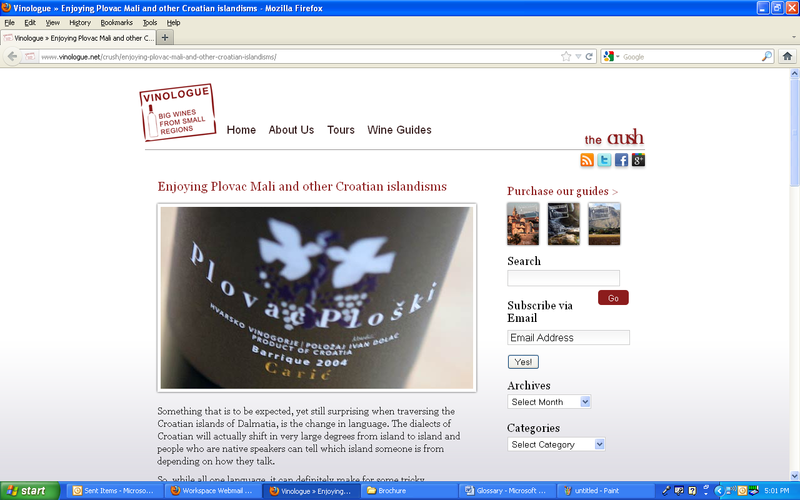 The name came from the fact that the vineyards are located on slope above gravel beaches of Hvar’s south shore. Nationalization: The act of seizing land or other private property and converting it into public ownership, as occurred during the communist years when Croatia was part of former Yugoslavia. Macchia: Scrub land biome in the Mediterranean region. Since the arrival of Greek colonists in 385 B.C., the Dalmatian island of Hvar, Croatia has endured many changes. Rulers, empires and foreign armies have come and gone. Today the marks and scars of these events remain a part of the island’s cultural-historical identity and economic position in the region, and the ethnic composition of the island reflects the genetic patchwork left behind by the influx of settlers over time. But one thing remains virtually unchanged. This is a tale about the continuity of winegrowing and winemaking on Hvar, which has survived the many rises and falls caused by wars, social unrest, vineyard scourges, and economic hardship. In the beginning, From the Aegian island of Paros the Greeks brought grapevines and planted them in the fields of Stari Grad, thus establishing the island’s first vineyards. 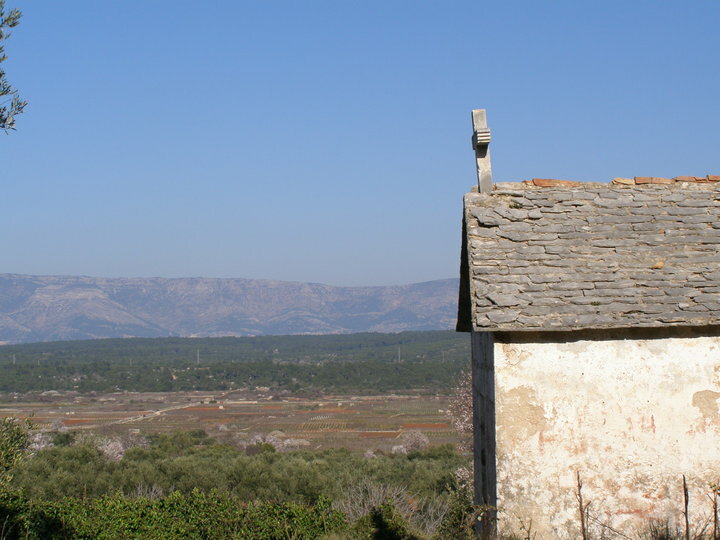 The Greeks then divided the fields of Stari Grad*, also known as Ager (originally named Chora) into 73 equal parcels and allocated them to the local settlers. One year after their arrival, a conflict between the Greek settlers and the local Illyrian tribes broke out. With the help of Dionysius I of Syracuse’s fleet (winner in the war against Carthage and ruler of Sicily), the Greeks were able to defeat the Illyrians and strengthen their hold on the island. According to Roman historian, Appian, the Illyrian mainland tribes considered wine from Hvar a valuable commodity. 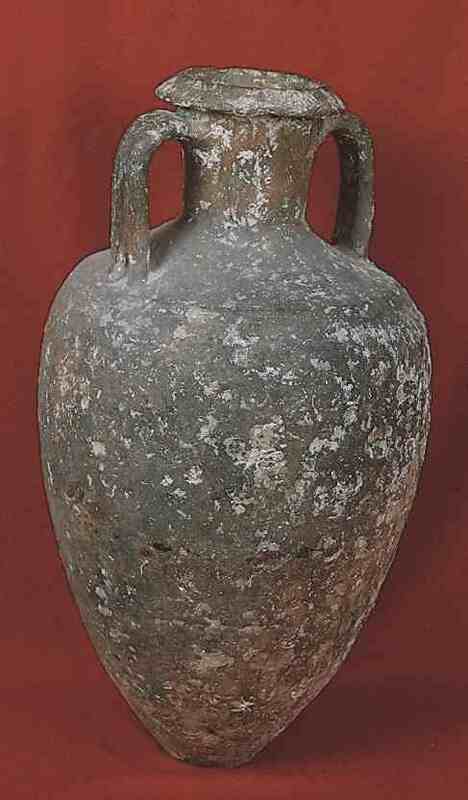 Clay amphora bearing the seal of Pharos, which were recently excavated near the Neretva River in southern Dalmatia, affirms the importance of wine in the cultural-historic lifestyle of the region. During the time of Demetrius of Hvar, a great soldier and confidant to Queen Teuta of Illyria, Hvar returned to Illyrian rule. In the 2nd century B.C. 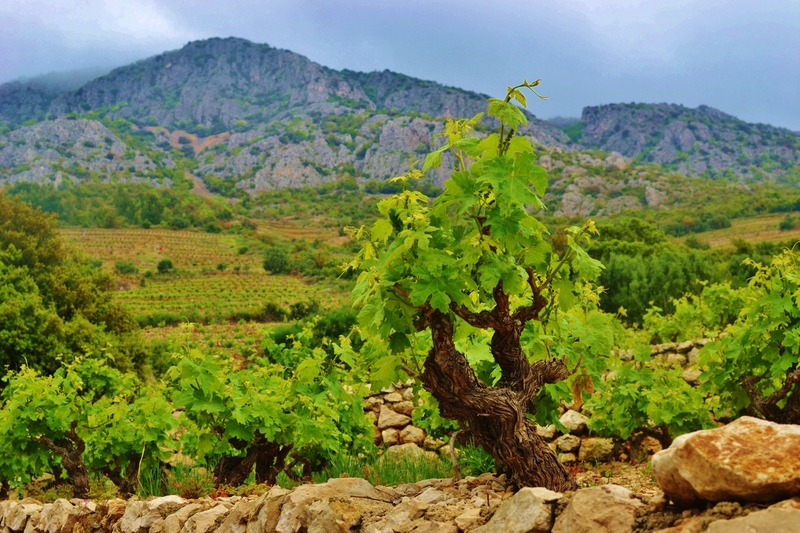 the Romans conquered Hvar and brought with them the methods to improve the local production of wine. 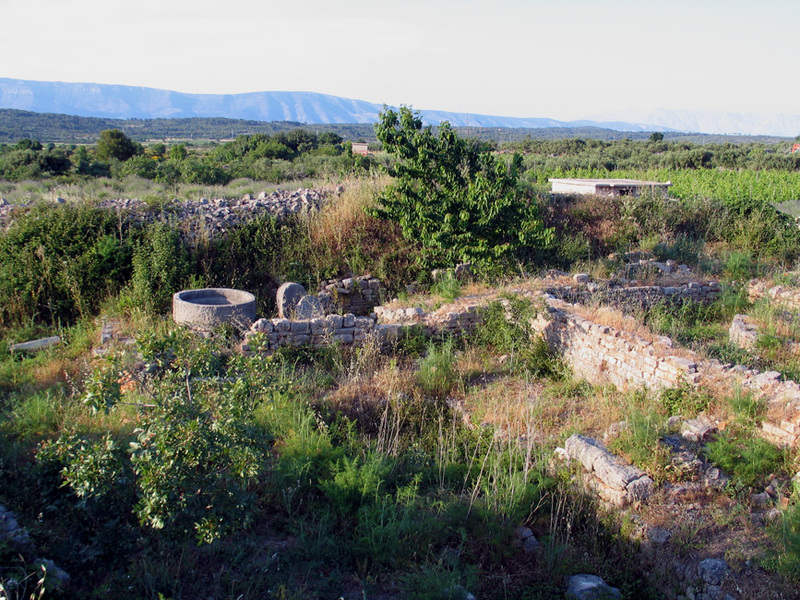 The Romans built many villae rusticae in the fields of Stari Grad and elsewhere on the island, where the owners would reside for the greater part of the year. 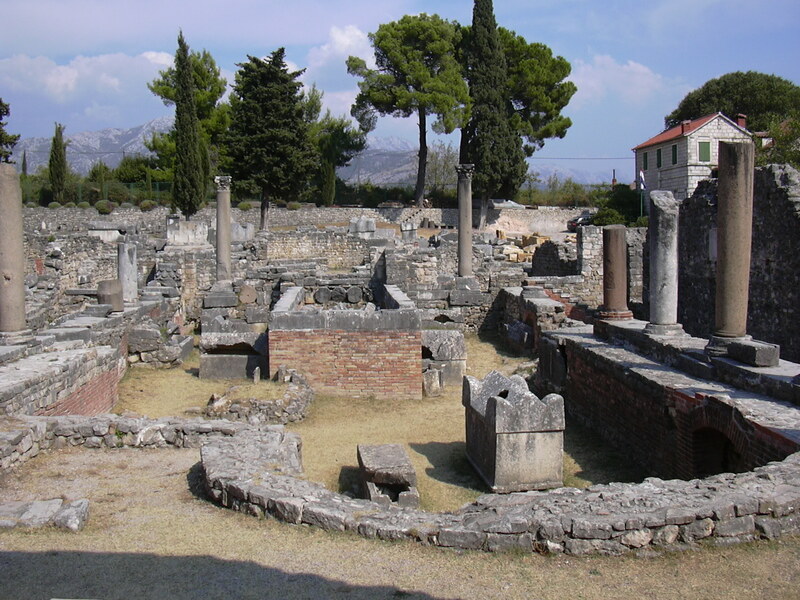 During this time, in the city of Salona, the capital of the Roman region of Dalmatia, a Christian group was founded and guided by Domnius of Antioch (better known locally as Saint Duje). Since Hvar was a major port between Salona and major cities of the Mediterranean, the teachings of the Christian Gospel quickly spread among the islanders, an influence that remains today. After the fall of Salona (7th century A.D.), some of the city resident fled to the islands, subsequently followed by the Slavic tribe, the Croats. 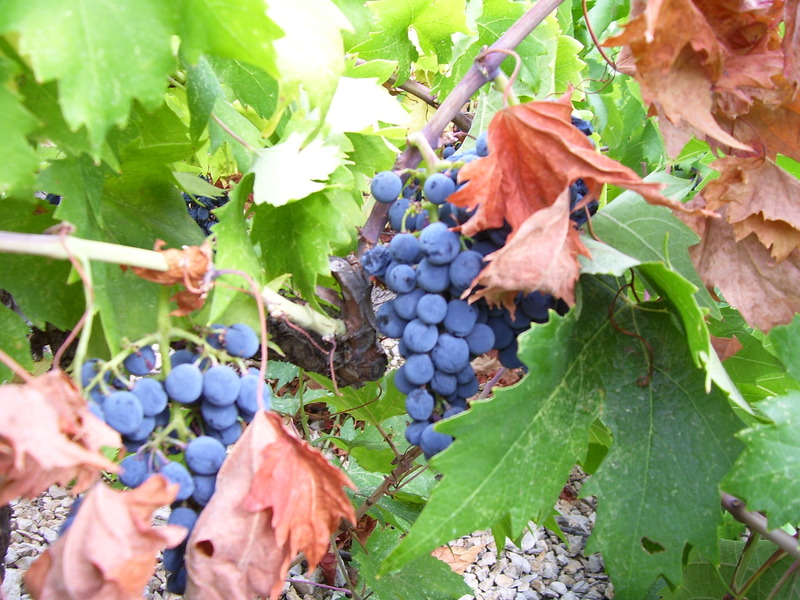 The Croats soon adopted the traditions and winemaking skills that would sustain the continuity of grape cultivation and wine production until the present day. During the Middle Ages, Hvar was subjected to a revolving door of rulers: the Neretvans*, Croatian kings, Byzantine, Hungarian, Croatian-Hungarian kings, and finally the Venetian Republic all took their turns. Despite all the turmoil, vine cultivation and winemaking endured and continued to be the backbone of the local economy. In the Middle Ages, two-thirds of arable land was owned by the Hvar Commune, and the remaining third belonged to royalty and the Church. Public lands were offered for rent to the workers, royalty and the Church. Strict rules governed the division of property and the payment of land rent. Grape growers were required to pay 1/6 of the yield to the royalty and the Church. Discontent led to unrest, and under the leadership of Matija Ivanić, a civil uprising (1510-1514) broke out. The mission: to secure equality between the common folk and the royalty. The uprising was followed by a period of Turkish incursions. The Turks raze the towns of Hvar, Stari Grad and Vrboska. Turkish invasions all along the coast led to demographic changes, as a large number of Croats from the Neretva region and the Makarska coast fled to Hvar in search of safety. Hvar eventually came under control of the Venetians and continued to develop – despite ups and downs – as an economic center of Dalmatia. 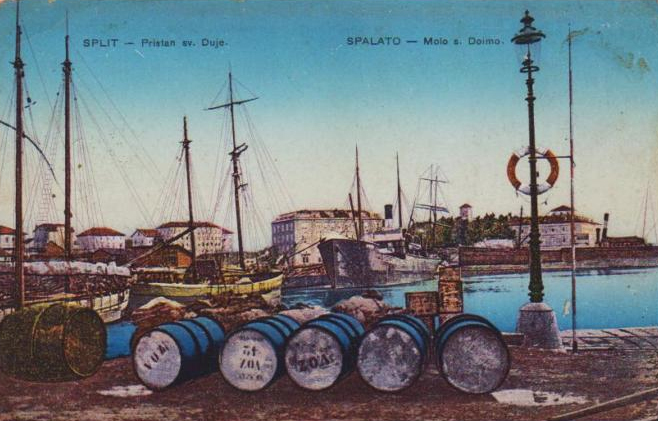 Wine exports were the leading source of revenue, although Hvar was also well known for its production and export of dried figs, olive oil, almonds, carob and other Mediterranean produce. In the time leading up to the mid-19th century, Hvar was again subject to periodic regime change, coming under control of the Austrians and subsequently the French (beginning of the 19th century). It also came under attack by the British and Russians, during which time commerce was interrupted and the local economy stagnated. Austria again gained control of Hvar in the middle of the 19th century. As a result, Hvar gained access to new markets in the Austro-Hungarian Empire, which boosted the importance and production of wine. 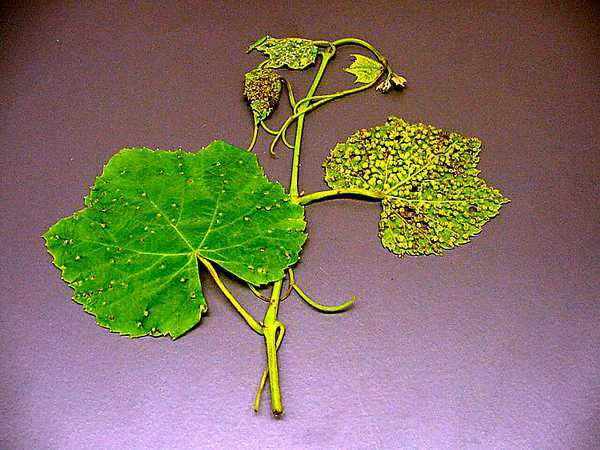 Toward the end of the 19th century, the scourges of phylloxera, peronospera (downy mildew) and oidium (powdery mildew), devastated and ruined the vineyards of France and Western Europe. 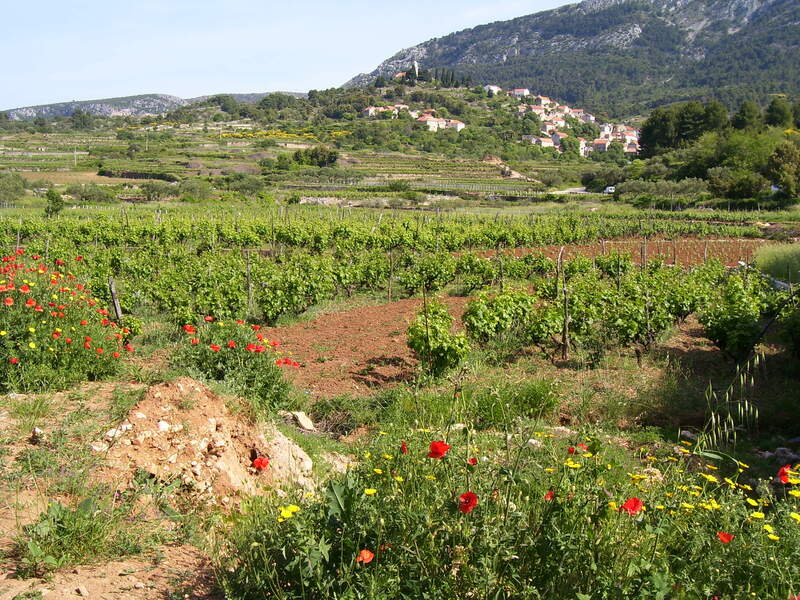 Wine from Dalmatia suddenly came under higher demand, prompting the residents of Hvar to expand their vineyard holdings to 5,750 hectares. With the increased production and revenues, many wine-growers enlarged their homes and converted the ground floors into wine cellars. The future suddenly seemed bright, and Hvar enjoyed newfound prosperity. To minimize the power of and offset any threat from the buyers and traders, many of the smaller local wine growers decided to organize themselves into the first island cooperatives. 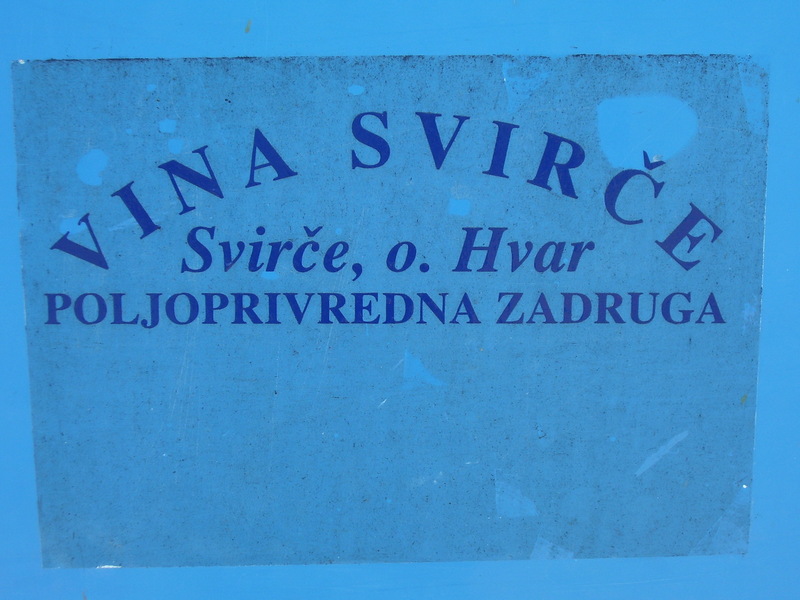 One such cooperative, Svirče *, remains today. But the unfortunate cycles of history soon took a turn, and the economic boon turned into catastrophe. The Wine Clause, a mandate that allowed Austria to import cheaper wines from Italy, forced a drastic and devastating 350-500% decrease in the price of Hvar’s wines. 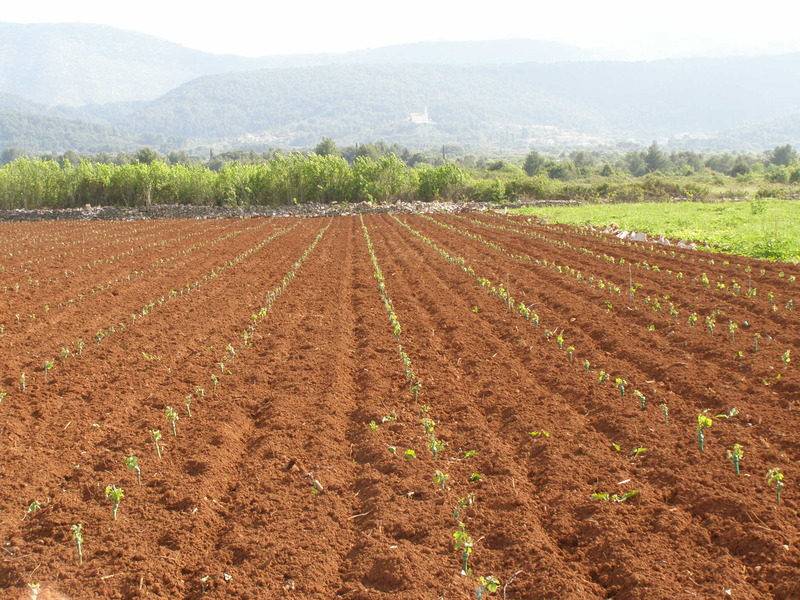 If that were not enough, the vineyards of Dalmatia – including Hvar – were also attacked by peronospera and oidium, followed in 1909 by the ravaging effects of phylloxera. The glory days of viticulture on Hvar seemed to die a slow death, leaving the population without the means to earn a living, and the local economy teetered on the verge of collapse. In honor of the Mother of God, this Church was built by Ivan Carić of the late Juraj. Since 1852 oidium and peronospera have ruined the grapes. These were hard times. 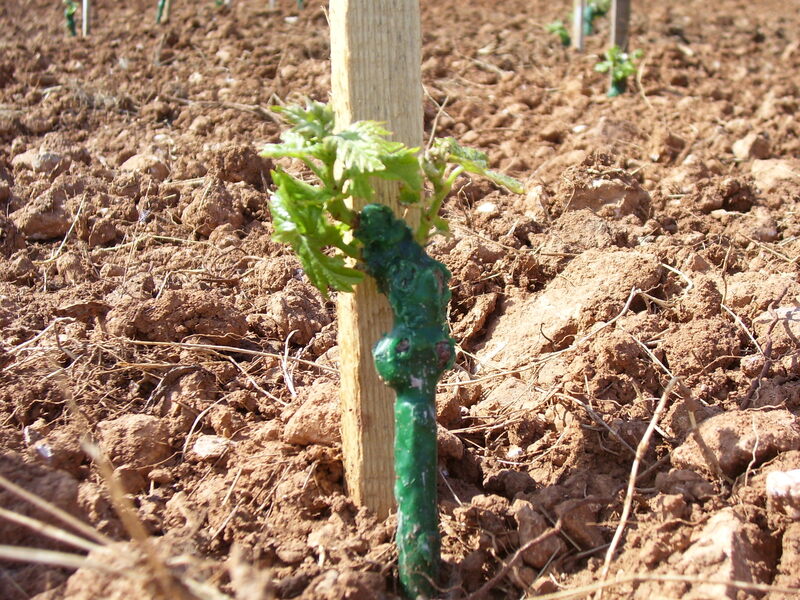 Root pests came from Zadar, and the vines whithered. In fear we await our doom. My People! Devastated by this affront from God, heed the Virgin Mother Mary. And may God protect us from these three evils.